Learn How Hematrex Can Promote Optimal Vein Health! What are the benefits of Hematrex? What are the top 3 questions people ask about Hematrex? What are people saying about about Hematrex? Strong vein walls are crucial for healthy circulation. Hematrex is a combination of 9 potent herbs and shilajit, a powerful nutrient enhancer. Hematrex is specially formulated to promote circulatory health by supporting vein durability, wall strength, and elasticity. Hematrex is the result of ancient wisdom reinterpreted in the light of modern equipment, production, and analysis. Hematrex is based on Global Healing Center's Spagyrex® process which was invented during Dr. Group's research on the root cause of poor health. He found that health problems begin when the body becomes contaminated with toxic residue that suppresses the body's own internal self-healing mechanism. 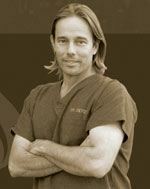 This began his journey to create the most powerful, herbal vein and circulatory support product. It all started by studying the works of the most famous 16th-century healer, scientist, and alchemist, Paracelsus. Paracelsus, composed the word Spagyria (Spagyry), which means to extract (spao) and combine (ageiro). The describes the process and power of transmuting a preparation of herbs into an elixir of health and longevity. Dr. Group took this original technology and advanced the science and art of spagyry-based processes by adding and combining herbs that support vein durability, wall strength, elasticity, and promote normal circulation. Global Healing Center's Spagyrex® process combines ancient and current technologies to create a revolutionary, multi-step, proprietary alchemy and spagyry-based processing technique. It follows the principle of separating and recombining all the elements of an herb to produce the most powerful essence of its healing nature. This results in a Harmonious Organic Supercharged Extract. Learn more about the Spagyrex® process. Do you regularly sit or stand for long periods of time? Do you strain while having a bowel movement or have less than 2 bowel movements each day? Do you get enough fiber? Do you not get enough exercise? Nutritional support for optimal vein health! Helps normalize permeability of veins and capillaries to promote elasticity. Encourages blood flow by strengthening vein walls. We are sure you will see and feel the health benefits of Hematrex. If you are not satisfied with your results, let us know and we’ll refund your money. Why is Hematrex the Best Circulatory Support Product Available? 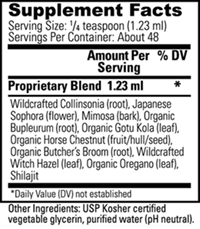 Contains certified organic and wild-crafted herbal ingredients. 100% Kosher and vegetarian safe! Does NOT contain excipients, binders, fillers, toxic preservatives, or other impurities. Developed by Dr. Edward F. Group III, world-renowned for his organic, neutraceutical formulations! Never tested on animals and proudly made in the USA from globally sourced ingredients! 1. Why is vein health important? Excessive straining or pressure from sitting, stress, constipation, or diarrhea can cause veins to become constricted and uncomfortable. This may even lead to bleeding if vein walls become so weakened they break open, exposing you to infection. 2. Should I take Hematrex with my blood pressure medication? Mixing Hematrex with blood pressure medication is not recommended as it could lower blood pressure and cause complications. Talk to your doctor first if you're taking any prescription medications. 3. Will Hematrex help with hemorrhoids? Hematrex can help overall circulation and, over time, may help hemorrhoid swelling. Get Started Today and Boost Your Health and Wellness With Hematrex... Or Your Money Back! Collinsonia's supports blood vessel contraction and flow, helps to reduce irritation, and calms the swelling of blood vessels. Promotes circulation by normalizing the permeability of blood vessels. An Ayurvedic plant with many unique qualities and beneficial nutrients. Known in Chinese medicine as a cooling herb that promotes circulatory health and strengthens blood vessel walls. Contains aesci, an ingredient used by alternative health practitioners to support optimum circulation. Contains high levels of flavonoids that strengthen capillary walls and support a healthy circulatory system. Butcher's broom helps the elasticity of stretched and swollen blood vessels. Witch hazel is a widely used topical astringent that reduces redness. Decomposed plant matter loaded with humic acid and fulvic acid, which enhance the efficacy of other ingredients. Take 1 serving, approximately 2 droppers, in the morning and 1 serving in the afternoon before meals.